Proper dental care is imperative in maintaining a healthy smile. SARASOTA, FLORIDA, UNITED STATES, January 31, 2018 /EINPresswire.com/ — With the cost of both routine and cosmetic dentistry rising every year, Rosanne Hanley has stepped forward to help. Social activist Hanley is looking to sponsor a round of dental care for 3 individuals who may otherwise be unable to afford the treatment or care they need. The Florida-based fundraiser said of the idea, "A healthy, happy smile is worth a thousand words, but it occurred to me recently that not everyone has the luxury of access to quality dental care." She continued, "Even routine check-ups can be expensive, while corrective and emergency procedures can cost thousands upon thousands of dollars." By sponsoring three local individuals, keen volleyball player Hanley hopes she can make a real difference to their happiness and well-being. "I want to literally put a smile on someone's face!" says an excited Hanley. A recent study of dentistry prices in the US revealed that the national average cost of a dental exam is now $275 without insurance. This includes an oral exam, basic cleaning, and any necessary X-rays. In more expensive areas, the same visit can cost upwards of $500. Many dental check-ups call for further treatment, which is where costs can really begin to mount. The same report revealed that on average, a large filling now costs in excess of $170, while a tooth extraction will set a patient back $280. Meanwhile, a root canal and bridge both cost over $680 on average, while a crown is likely to cost anywhere from $600-$1,200 depending on the material used. A necessity for many older patients, denture prices start from $420 on average, while dental implants cost from $1,900 per tooth. Rosanne Hanley appreciates that these costs are out of reach for many people. "If you're not insured, visiting the dentist can become impossible due to the costs involved," she says. "I hate the thought of anyone being in pain or otherwise unhappy because they cannot afford even simple attention from a dentist." Hanley is hopeful that others will follow in her footsteps by sponsoring dental care for people less fortunate in their area. "It's about giving something back to your local community," says Hanley. "I like to think that if I was in need, my friends and neighbors would reach out with help. That's the mindset I'm trying to foster in people everywhere!" SAN JUAN, PR, UNITED STATES, January 31, 2018 /EINPresswire.com/ — SAN JUAN, Puerto Rico, Jan. 31, 2018 – The Puerto Rico Tourism Company (PRTC) announced today its rapid-pace recovery efforts and a positive outlook for 2018. What better occasion than at the 15th edition of the Caribbean Travel Marketplace, the most important regional tourism event of the Caribbean, and particularly meaningful this year, with Puerto Rico as host destination. This reaffirms Puerto Rico’s readiness to host visitors from all over the world. •	Cruises: Not only did Puerto Rico resume operations just two and a half weeks after Hurricane Maria, but by end of June, 2018, Puerto Rico will have received 1.04 million passengers. This Winter season, 14 vessels – four more than the previous season – are homeporting in San Juan, including Royal Caribbean Freedom of the Seas, the Windstar Pride, Silverseas Silver Wind and Viking Sea. The 2018/2019 cruising season is set to witness a record-breaking 1.7 million passengers, which is expected to generate roughly $250 million in revenue for the economy. •	Air Access: The airline industry is rapidly restoring and growing. Two weeks after Hurricane Maria, the Luis Muñoz Marin International Airport had 20 daily flights, but today, there are on average 110 daily flights. Capacity is on the rise with a current monthly seat volume of 391,000. By July 2018, seat capacity will increase by 81,000 more. Very promising is that by early summer 2018, air access will be on par with levels this time last year, and Puerto Rico is growing at a faster pace than comparable destinations that have gone through similar situations. Growth is driven by newly established routes and existing frequency, in addition to larger aircrafts that will result in higher seat capacity. •	Hotels: Currently, there are over 122 hotels operating, which equates to 12,458 available rooms. An exciting 2,670 more rooms will be added to that inventory after undergoing renovations. For example, the Wyndham Grand Rio Mar Puerto Rico Golf & Beach Resort, the Ritz-Carlton Reserve and El San Juan Hotel. Looking ahead, the Puerto Rico Tourism Company estimates 25% more rooms in the pipeline for development, which equates to 3,800 new rooms. Some of the hotels in the pipeline are the JW Marriott, Aloft San Juan Convention Center, Aloft Ponce, Serafina Hotel, Four Seasons Cayo Largo, among others. Approximately $1.9 billion will be injected into new developments and renovations, which contributes to adding roughly 3,831 new jobs. •	Destination Attractions: A month after Hurricane Maria, the Puerto Rico Tourism Company announced that 22 attractions were open, however, today there are more than 120. Additionally, 13 golf courses and 15 casinos are also open for recreation. Travelers need not worry about being hungry while on the Island because Puerto Rico has 4,000 operating restaurants. We are seeing continued commitment from partners who are choosing to keep their big-ticket events in Puerto Rico, like the DIVAS Half Marathon and 5K, PGA, Ironman, and MLB Series, all events happening in Q1 and Q2 of this year alone. The PRTC is proud to announce significant milestones achieved by implementing fact and case study based planning based on destination management principles and strong partnerships with the public and private sectors whom have demonstrated increased commitment and confidence in Puerto Rico’s comeback. Instilling a forward-thinking approach that allows the destination to be more innovative in reaching its goals and identifying where our investments will give us the biggest return are instrumental pillars of the Puerto Rico Tourism Company Destination Recovery Strategy. If planning a vacation is on the horizon, Puerto Rico wants to set the record straight. For more information including details on open attractions, accommodations, Puerto Rico's most popular restaurants and more, visit SeePuertoRico.com. And, for information on other Island updates (related to hospitals, ATMs, supermarkets, etc. ), visit http://status.pr/. With the Island officially Open for Business, there is no better time to visit Puerto Rico. BROOKLYN, NY, UNITED STATES, January 31, 2018 /EINPresswire.com/ — The Global Gene Therapy market size is expected to reach USD 4,300 million market by 2021 as reported by Polaris Market Research. The Rising demand of the personalized treatments and need for the one stop cure for the rare indications and niche segments of the disease has led to the emergence of the gene therapies as a therapy option for the critical and deadly indications. The positive attitude of regulatory bodies has also created a favorable environment for the research and development in these therapies. As of January 2018, there are 3000+ Reported Clinical Trials for Gene therapies, out of which 500+ trials are currently ongoing. The increase in the government funds for the research and development also paving the way for the secure future of gene therapies in coming time. Polaris Market Research expects that with the expected launch of the potential gene therapies, the market is expected to rise at a higher pace. The Unites States accounts for the higher share of the market as compared to the Europe and Japan. The highest market size is subjected to the approval of KYMRIAH (Novartis), YESCARTA (Kite Pharmaceuticals) and LUXTURNA (Spark Therapeutics) and associated premium pricing. Currently the Gene Therapy market is highly fragmented but with the current initiatives taken by the government and fastened approval process in developed countries, the market is soon going to be regulated. The only restrain to the Gene Therapy market is premium pricing of the therapies. Polaris Market Research believes that the affordability of gene therapy is one of the primary concern in the mature markets. GlaxoSmithKline recently in October 2017 launched the gene therapy, STRIMVELIS for the ultra-rare disorder i.e. Severe Combined Immunodeficiency due to Adenosine Deaminase deficiency (AD-SCID) This drug comes with the price tag of $665,000 which makes it THE expensive drug in the entire gene therapy segment. The drug also comes with money back guarantee as reported by the company itself. Polaris Market Research has provided the forecasts of the Global Gene Therapy Market from 2016-2021. WiseGuyReports.com adds “Games Market 2018 Global Analysis, Growth, Trends and Opportunities Research Report Forecasting to 2025”reports to its database. This report studies Games in Global market, especially in North America, China, Europe, Southeast Asia, Japan and India, with production, revenue, consumption, import and export in these regions. ROCKVILLE, MD, USA, January 31, 2018 /EINPresswire.com/ — American Gene Technologies International Inc. (AGT), a leading gene and cell therapy company, today announced completion of the pilot runs of its HIV Functional Cure automated cell processing protocol. This completes a key milestone of AGT’s planned Phase I clinical trial of AGT103-T, a genetically modified autologous T cell product in development as an HIV functional cure. The devastating impact of HIV/AIDS was dramatically relieved due to the development and global distribution of antiretroviral drugs. While these drugs marked a landmark achievement for medicine, even decades of treatment do not cure HIV and the virus re-emerges within just a few weeks off therapy. AGT103-T is the result of advances in genetic research to develop an immunotherapeutic that will potentially create a functional cure by reconstituting each person’s immunity to HIV disease. The approach taken by AGT differs substantially from other companies’ strategies by focusing on HIV-specific immune cells responsible for building and maintaining strong immunity against the virus. AGT’s product protects these HIV-specific immune cells through genetic modifications that knock down CCR5, a key surface protein utilized by HIV, and prevents replication of HIV already resident in those T cells. AGT’s cell therapy is expected to enable HIV-infected individuals to control and eliminate their viremia over time without the need for lifelong antiretroviral chemotherapy, render them non-contagious, protect them from developing AIDS, and provide immunity to reinfection for life. AGT is an emerging gene and cell therapeutics company with a proprietary lentiviral platform capable of broad applications including large and orphan indications, infectious disease, immune-oncology, and monogenic disorders. AGT expects to take its lead candidate for an HIV functional cure into the clinic in 2018 and is pioneering a novel immuno-oncology approach of stimulating gamma-delta (γδ) T cells to attack multiple cancers. AGT has a diverse portfolio of patent filings surrounding key tools and components in viral vectors, gene therapy, and regenerative medicine, and a key patent in AGT's novel immuno-oncology approach has already been granted. AGT has developed a modified gene (patent-pending) able to express therapeutic levels of phenylalanine hydroxylase (PAH) that it is deploying, along with other proprietary AGT technologies, in pursuit of a cure for Phenylketonuria (PKU). AGT expects to begin clinical activities for PKU in 2019, and for liver cancer (AGT's first immuno-oncology therapy) in 2020. More information can be found at www.americangene.com. NEW YORK, UNITED STATES, January 31, 2018 /EINPresswire.com/ — IT Governance, the leading provider of information security and General Data Protection Regulation (GDPR) expertise and training, and a globally recognized authority on ISO 27001, is delighted to announce the launch of new webinars on ISO 27001 compliance. As the number of cyber attacks continues to rise and data security laws and regulations become more stringent, businesses are under increasing pressure to protect their systems from cyber attacks, slip-ups, and data misuse. But the challenge of complying with multiple cybersecurity regulations is considerable. With little guidance on how to achieve a robust data security posture, organizations are struggling to find a comprehensive solution that can assure compliance. ISO/IEC 27001:2013 (ISO 27001) is the international standard that describes best practice for an information security management system (ISMS). Achieving accredited certification to ISO 27001 demonstrates that your company is following information security best practice, and provides an independent, expert verification that information security is being managed in line with international best practice and business objectives. 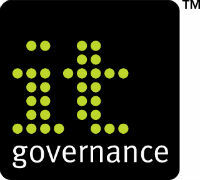 IT Governance’s free new webinars will share valuable insight into information security problem-solving. The first webinar aims to provide an overview of the current cybersecurity landscape and the latest data protection laws, and to highlight how an ISMS can help create the best strategies to mitigate breaches and meet even the most stringent of compliance standards. Alan Calder, the founder and executive chairman of IT Governance, said: “New York financial organizations can not only meet the New York State Department of Financial Services (NYDFS) requirements but also ensure they are prepared in an ever-changing cybersecurity landscape by implementing ISO 27001, the internationally recognized information security management standard. To read more about each webinar, please visit our webinar page. To discuss your cybersecurity requirements, contact our consultancy team at servicecenter@itgovernanceusa.com, or request a call. HONG KONG, HONG KONG, HONG KONG, January 31, 2018 /EINPresswire.com/ — The Belt and Road Initiative (BRI) provides a visionary blueprint for global economy in the 21st century, brings new opportunities to promote prosperity and development of emerging countries and economies along the scheme. Under the theme of “Steering World Food Industries to New Opportunities”, the First Belt & Road International Food Expo (Hong Kong) (BRIFE 2018) will take place from June 27 to June 29, 2018 in AsiaWord-Expo, Hong Kong. It aims to facilitate trade and provide an international platform for buyers, sellers and service providers of food industry to come together and explore opportunities. Five halls of separate specialties, will be an opportune occasion for procuring, business matching and providing professional business solutions. Major supporters of BRIFE 2018 includes: Invest Hong Kong (the Government of the HKSAR), Meetings & Exhibitions Hong Kong (A Division of Hong Kong Tourism Board) and the Belt & Road Global Development Alliance. Apart from the 3-day trade show, BRIFE 2018 will also host remarkable events: The First Belt and Road Agrifood & Trade Summit (ATS)”and “2018 Belt & Road Hot Chef Culinary Challenge”. ATS on June 27 this year will be a high-level event which is highlighted with multiple distinguished guests such as country ministers of agriculture and trade, business leaders, ambassadors, consul-generals, industry experts, international investors and professional services providers etc. Providing a solid platform for business matching and investment promotion. Aims at promoting different cuisine culture from over 73 Belt & Road countries & regions and worldwide, enhancing industry communication and public knowledge, the 2018 Belt & Road Hot Chef Culinary Challenge (June 27-29, 2018) will bring together over 100 elite chefs globally and compete with different types of cuisine cooking under the “Hot & Spicy” theme. 12 Consul-Generals in Hong Kong, 4 countries’ Ambassadors to the PRC and 15 prestigious personages & community key leaders forms our Honorary Advisory Board. The Expo will provide 1,200 booths, exhibitors and buyers from over 35 countries and regions will participate. Please visit https://brifexpo.com/ for details. FMC Exhibition Co. Limited, aims to provide professional exhibition planning services and organize large-scale international exhibitions and conferences. SEATTLE, WASHINGTON, UNITED STATES, January 31, 2018 /EINPresswire.com/ — The Bio-Based Polyethylene Terephthalate market was valued at US$ 1,883.5 Million in 2016, according to Bio-Based Polyethylene Terephthalate Market, by Application (Bottles, Bags, 3D Printing, Foils and Fibers, Carpets and Others), By End-Use Industry (Packaging, Automotive, Textile and Others), published by Coherent Market Insights. The bio-based polyethylene terephthalate market is projected to reach US$ 7,116.3 Million by 2025, exhibiting a CAGR of 16.1% during the forecast period. Rising initiatives taken up by the regulating bodies in the adoption of sustainable packaging to reduce carbon footprint combined with increasing research and development activities for manufacturing of 100% bio-based polyethylene terephthalate bottles is one of the major factors driving growth of the market. For instance, The Coca Cola Company developed the first 100% bio-based polyethylene terephthalate (PET) bottle in 2015, based on technology developed by biofuels and biochemical company Virent Inc. Moreover, increasing use of bio-based PET in the automotive sector due to the lightweight and environment friendly qualities, is expected to boost the demand for the same further. Based on application bio-based polyethylene terephthalate market is segmented into bottles, bags, 3D printing, foils & fibers, carpets and others. Bottles accounted for the largest market share in 2016 and the same is expected to retain market dominance throughout the forecast period. Rising demand for beverages coupled with government participation for reduction of greenhouse emissions and stringent regulations are some of the major factors boosting the demand for Bio-Based PET market. For instance, post completion of the of the Lead Market Initiative, the European Commission established an Expert Group for Bio-based Products in 2013 in line with the commission’s Bioeconomy Strategy. The strategy majorly focused on shifting the European economy towards the usage of renewable resources and the development of bio-based product sector by increasing the conversion of waste streams into value-added products. 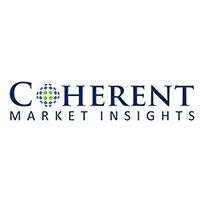 Asia Pacific held a dominant position in the global bio-based polyethylene terephthalate market and is projected to exhibit a CAGR of 17.8% during the forecast period. Steadily increasing consumption of alcoholic beverages and carbonated soft drinks in the region is also expected to boost the growth of the bio-based polyethylene terephthalate market in the region. According to the Economic and Social Commission for Asia and the Pacific (ESCAP), in 2014, North and Central Asia accounted for the highest volume of alcohol consumption which was close the total volume consumption of alcohol in Europe. Further, according to the Thailand Board of Investment, Thailand holds the major growth opportunity for bio plastic industry, as Thailand has a flourishing agricultural sector in products including cassava, rice and sugarcane. Thailand’s large agricultural base is projected to be used as a biomass feedstock for bio plastics. In addition, Thai government along with the National Innovation Agency (NIA), worked on various supporting programs such as establishment of the Thai Bioplastics Industry Association (TBIA). TBIA was founded in 2007, which assists bio plastic firms to reach international standards by certification and laboratory testing. These are the factors propelling the market growth of bio-based PET in the region. Europe was the second largest region in the global bio-based polyethylene terephthalate market in 2016 and is expected to retain its position during the forecast period. Growing environmental awareness is expected to propel the demand for bio-based PET over petroleum-based plastics in the region. Further, according to the European Biomass Industry Association (EUBIA), rising food and beverage industry in Germany, UK and France is expected to boost the market for bio-based PET in those countries. According to Plastics Europe, bio-based plastics such as Bio-PET and bio-PE are majorly used in packaging. These are the factors, largely supporting the market growth of bio-based polyethylene terephthalate in Europe. Browse 150 market data tables* and 90 figures* on "Bio-Based Polyethylene Terephthalate Market” – Global forecast to 2025. The major players operating in the global bio-based polyethylene terephthalate market include, Toray Industries Inc., The Coca-Cola Company, Teijin Limited, Toyota Tsusho Corporation, Anellotech Inc., Gevo Inc., Plastipak Holdings Inc., Virent Inc. and Ford Motor Company. BROOKLYN, NY, UNITED STATES, January 31, 2018 /EINPresswire.com/ — The Global Oncology market size is expected to exceed USD 190 billion by 2022. The Immuno-Oncology market was valued at USD 6 billion representing 7% of the global Oncology market in 2016 but is expected to grow at a impressive CAGR of ~30% during the forecast period from 2016-2022 as reported by Polaris Market Research. The immune-checkpoint blockade, is the revolutionizing treatment options in almost all oncology disease areas which has witnessed the rapid uptake in the growing Oncology market. These therapies are largely dependent on the global immune system of each individual patient, and not necessarily dependent only on the tumor biology which makes it the truly personalized medicine. As of December 2017, there are 6 Immuno-Oncology therapies which have been launched in the market, with the Opdivo and Keytruda being the highest sales generating drugs. There are dozens of targets being tested across hundreds of clinical trials ongoing for Cancer therapy area as a monotherapy and as combination trials. Polaris Market Research estimates that with the expected launch of the potential Immuno-Oncology, the market is expected grow at a higher rate. The Unites States accounts for the higher share of the market as compared to the Europe and Japan. The highest market size is subjected to the growth of the two immunotherapies ie Keytruda (Merck) and Opdivo (Bristol Myers Squibb), expansion of these therapies in other cancers and rapid uptake of overall immunotherapies. On the flip side, with the approval of the immunotherapies, the complexity of cancer treatment in patients as a personalized medicine has also increased. These therapies are thought to be largely dependent on the global immune system of each individual patient, and not necessarily dependent only on the tumor biology. Even the target-specific molecular characteristics of a tumor are only present in a small proportion of patients which are to be cured by immunotherapies. Therefore, new technologies are needed that can help predict which patients will benefit from immunotherapy. Polaris Market Research has provided the forecasts of the Global Immuno-Oncology Therapies Market from 2016-2022.